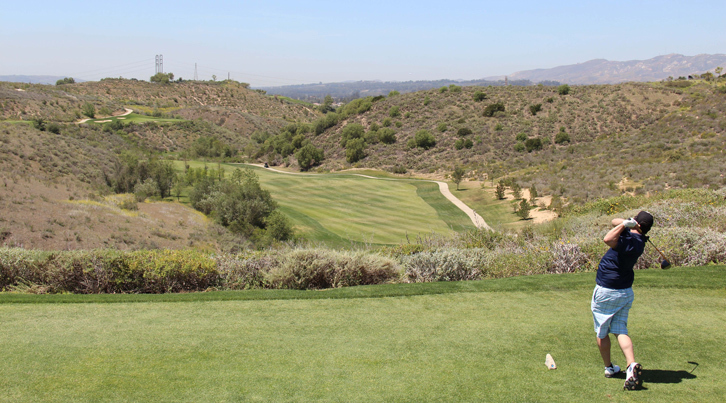 Moorpark Country Club Hole 1: This long and tough opening par four on Canyon Crest features a large lake to the right of the fairway and another hidden lake further up the right side that comes into play on a huge drive or the second shot. The slight dogleg left has a bunker on the left side, so the ideal drive will be right of center and will have to flirt with the lakes for the best angle to any pin cut left. Moorpark Country Club Hole 5: The pin placement (left or right) dictates where the drive should go to provide the best angle here. There is more room right off the tee than is visible and the bunkers and trees to the left are reachable with a big drive, so the player must consider distance carefully off the tee. 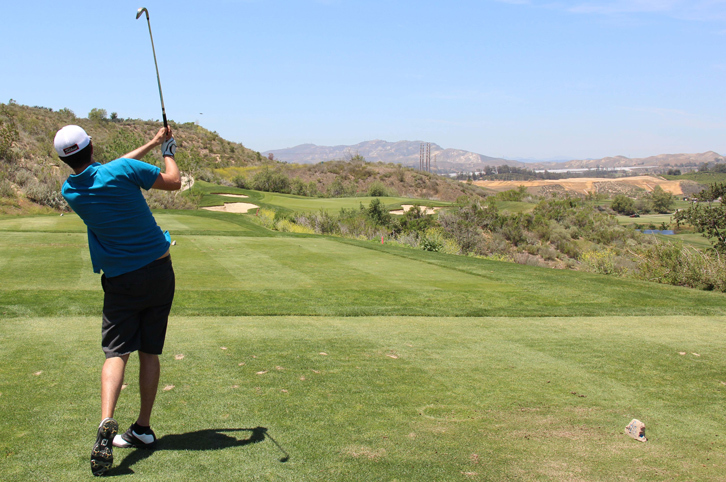 Moorpark Country Club Hole 7: From the elevated tee, the golfer can see the trouble and should endeavor to avoid it. However, it is long enough where a long tee shot is needed to make the approach more precise, given the angle of the green and ample trouble to the left side of it. Moorpark Country Club Hole 8: This par three has a green perched above a hillside to the right. There are also too bunkers to the left and more trouble left of that. Short is bad too, along with long, so the player should focus on this relatively short hole. Moorpark Country Club Hole 9: The last hole on the Canyon Crest nine is from an elevate tee box overlooking a large lake on the right. The tee shot can be played well short of the lake to make it a three shot hole, or the player can try to flirt with or carry the water to leave a relatively short approach to the green and try to finish strong. 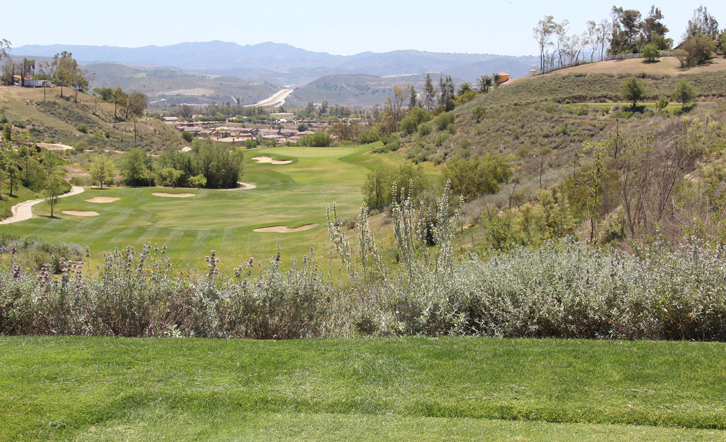 Moorpark Country Club Hole 13: The drive on this uphill par four is perilous, but stunning. The open rock face fairway and distant orchards make for a nice visual, but not a nice place for the golfers ball to be. The approach is mostly carry over hazard to a narrow green. The obvious bail out area on the approach is to the left, but the chip will be delicate from there. 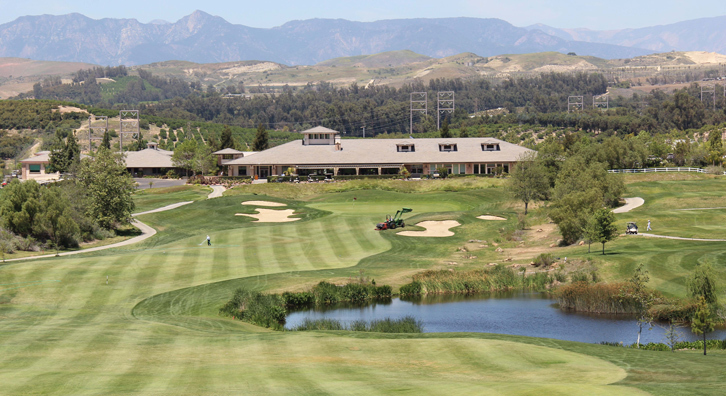 More Ventura Golf Course Reviews Await You. 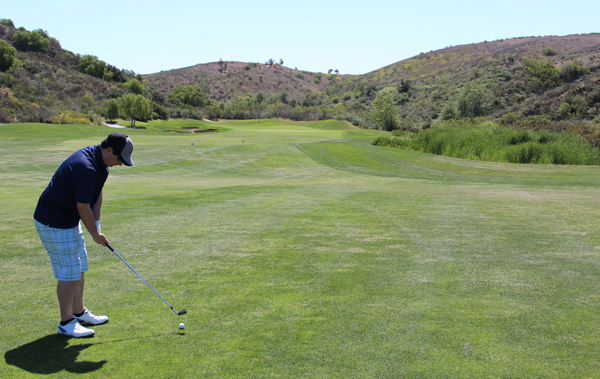 or check out Rustic Canyon Golf Course Review, a top Rated Ventura County Golf Course.